Making a story and bringing a new pattern here on the site is always a pleasure for me because many people thank for providing incredible patterns with it, even if they are looking for some point or work and find it here. It is gratifying after the end of all work, even more when they send me photos, simply love and make me continue and grow this world of crafts that is crochet. It is a fantastic work and done with the hands, more original impossible, because it requires a lot of technique and dedication and the practice that we conquer with the day to day to make new patterns and to practice. The crochet has been updated and has also become a vintage piece and leaving the look full of style and personality. It is fashionable, in the decorations of the house and without counting the amigurumis that turned fever. Crochet is a type of sewing well known and taken as a hobby and also work for those who sell their pieces and get an extra income. It's a simple thing but it makes all the difference. So let's separate our materials and learn a new pattern today. 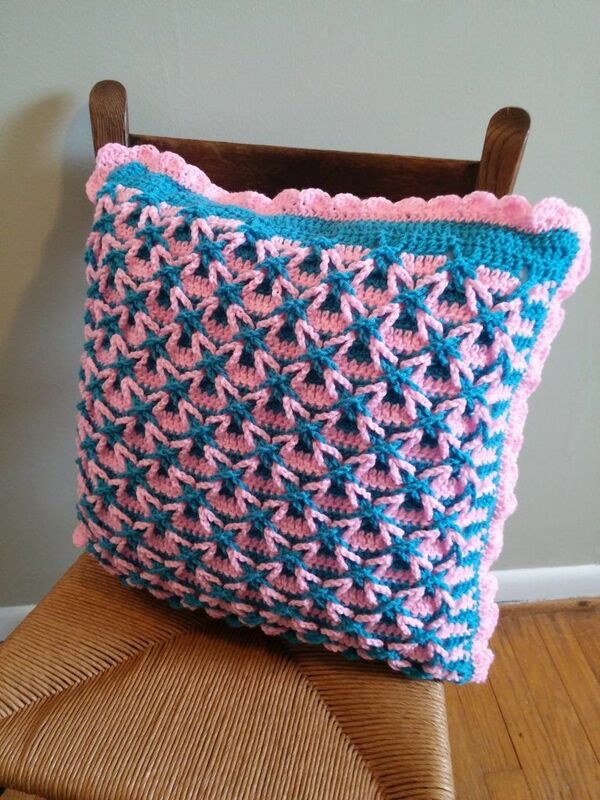 The crochet pattern I bring to you today is one thing you can do a lot of things, it's known by Star Stitch Pillow that has a unique design of its own, a characteristic that combines crochet and pillowcases, so I left the photo of the pattern on a cushion cover that looks really lovely. It is a different point and very delicate because of its design that looks like an X and its texture getting beautiful on cushions, bedspreads, sofa or baby blankets, in fact many things, let your creativity flow because that is the secret. I am delighted with the features of this pattern that I am already thinking of making one for my niece in light pink and white, it will look beautiful and I'm sure my sister will love it. I was thinking of doing and sharing save this pattern in the spring or a month before but I preferred to post now to have more time and get organized to do beautiful work without running around and being able to do other work as well. I looked for instructions for you and found a step by step and this chart above. With a graphic we can do without step by step written but I left the step by step written also because there are people who can not by graphic. If you like then do it right now, it's not complicated, once you get to practice you see that it's an easy and fun project and can do several things with it. 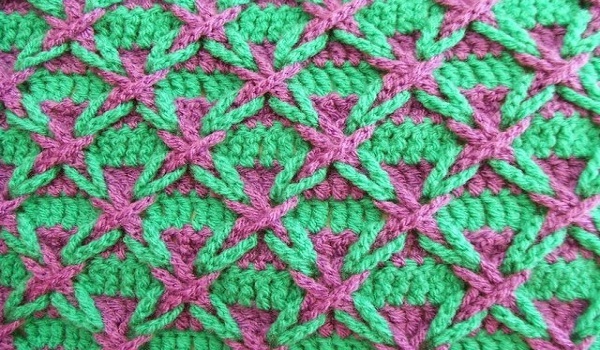 Then I found this video that the person does correctly the same pattern but it is in Russian but we can take the pattern and see in the video only the woman crocheting because the instructions are in the link, so we can see how it is done through a person doing, good I thought I could help you, so I shared too. I shared everything I found about this pattern. Enjoy our fanpage Xell Crafts and follow our news. Until the next pattern.